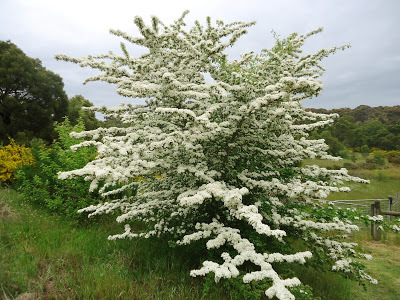 Crataegus monogyna – Hawthorn – shrub in bloom. Trees Planet. treesplanet.blogspot.com (Accessed 2/2018). Crataegus_crus_galli thorns and leaves. commons.wikimedia.org (Accessed 2/2018). 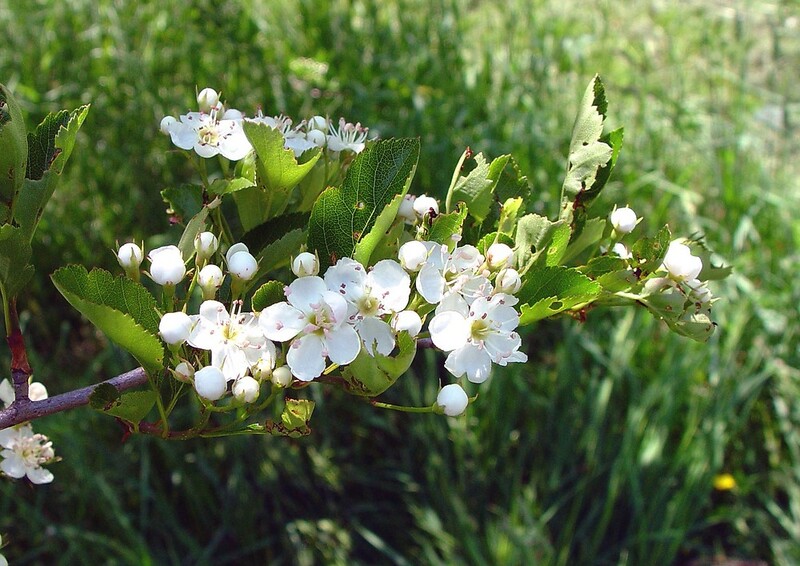 Crataegus is a genus of shrubs or small trees. 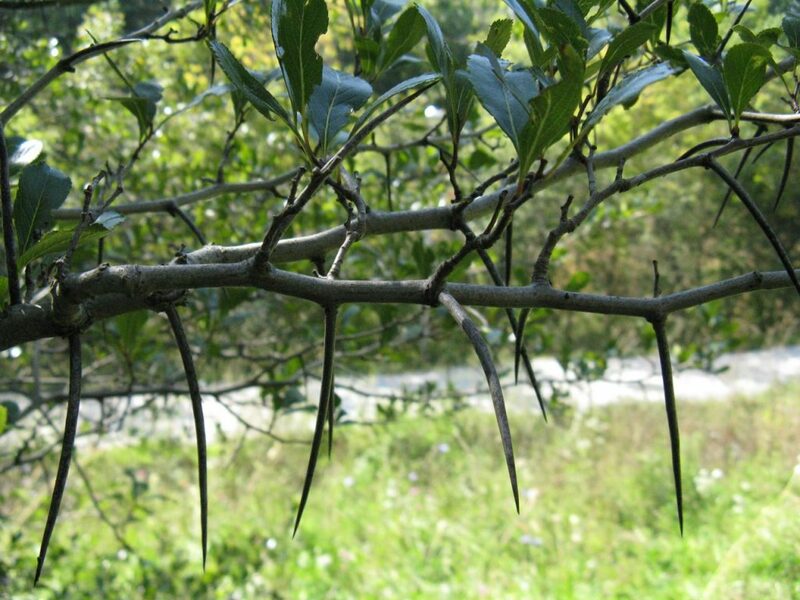 Branches usually crooked, bent back and forth in alternate directions (flexuous), thorny. Leaves alternate, deciduous, simple, margins usually toothed or lobed. Those of vegetative shoots generally larger, more deeply toothed or lobed than leaves of flowering shoots. Flowers usually white, radially symmetrical (regular), 5-parted, petals deciduous, calyx tubular, 5-lobed, stamens 5-20 in 1-3 rings (series), anthers red, yellow or white, styles 1-5, ovary inferior. 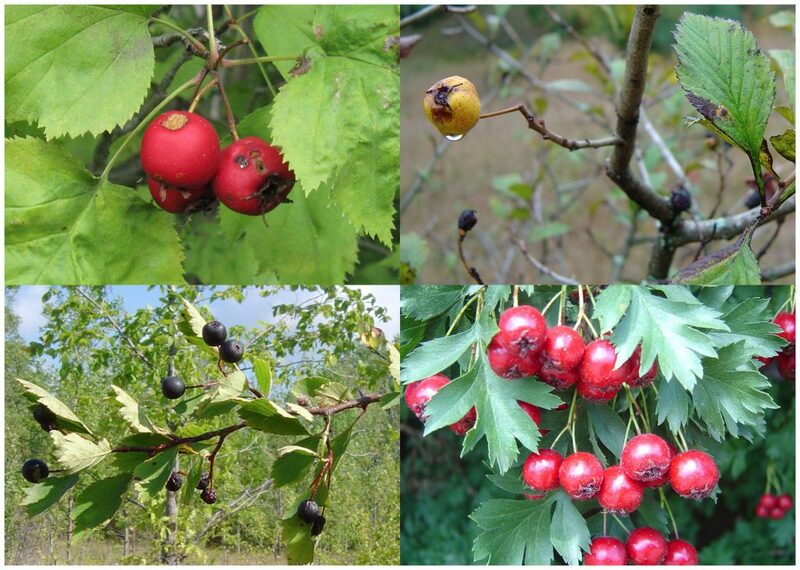 Crataegus fruit,_various_species. en.wikipedia.org (Accessed 12/2014). Fruit fleshy although sometimes hard, most often red or greenish-red, occasionally yellow or blue-black, often bitter to our taste; a pome (like that of an apple) with a core formed by tough, papery divisions around each seed.